This man needs no introductions to any reader of my Blog, but his background is enlightening. Born in Suffolk in October 1930, the son of a fisherman, Bernie’s great passion was motorcycles and right after WW2 he set up a motorcycle parts business with a partner, Fred Compton. He got into motor racing in 1949, competing in the F3 championship. In 1951 he acquired a Cooper Mk V, raced at Brands Hatch, winning occasionally, but then suffered an accident, which turned his attention away from competition, towards real estate. 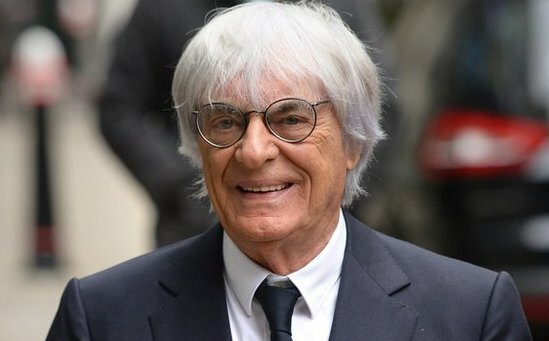 He made a number of astute and lucrative real estate investments in and around London, but in 1957 returned to motor sport as a manager of drivers. He bought and sold racing cars, and among others managed German driver Jochen Rindt. His big move into Formula One came in 1971, when Bernie was approached by Jack Brabham’s former partner Ron Tauranac. 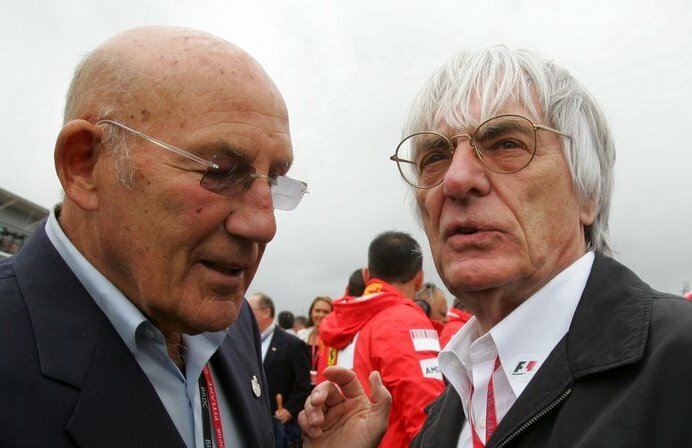 Ron was looking for a partner to replace Jack, and Bernie negotiated and acquired the whole Brabham operation for £100,000! He is famous for his tough negotiating style, his determination and resolve. But, my interest is in how he makes decisions, and the inspiration behind his meticulous sense of organization, presentation, and process management. 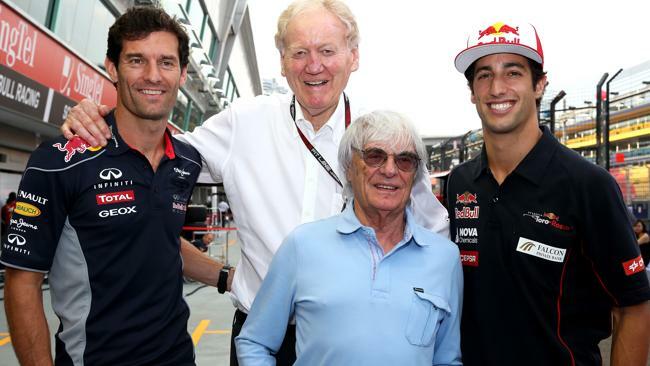 I first met Bernie, in 1985 when we were introduced by my mate Stirling Moss at the Australian F1 Grand Prix Ball in Adelaide. But the main thing that impressed me that weekend was Bernie’s speed for decision-making, and action. 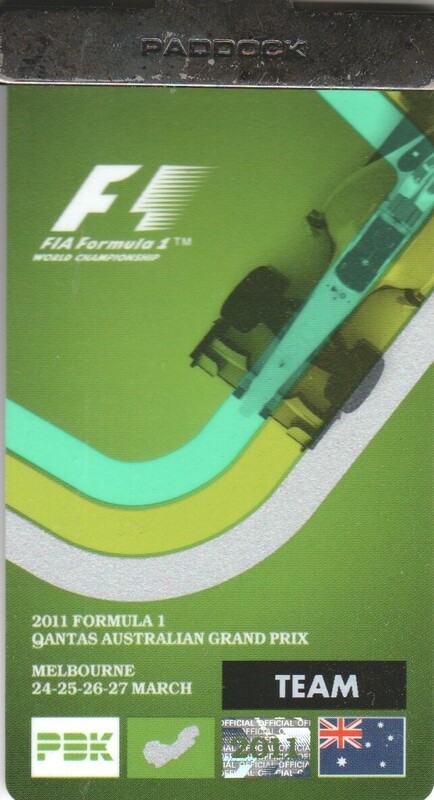 On Saturday, the Formula One Management team discovered someone had forged copies of the ‘paper’ GP credentials. 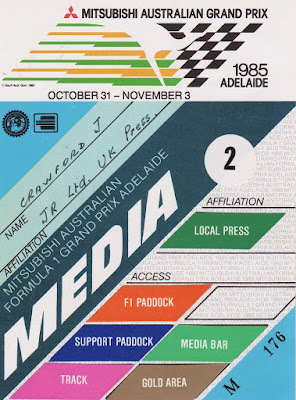 When Bernie discovered this, the entire set of credentials for teams, media and officials were re-created and re-printed overnight! That was impressive. In the following 30 years all my dealings with Bernie have been amicable and honorable. I’ve always been impressed with his zealous and meticulous attention to detail, social etiquette, and impeccable manners. Consequently, over the years whenever he provides me with credentials I write a thank you note, and always receive a cordial reply. 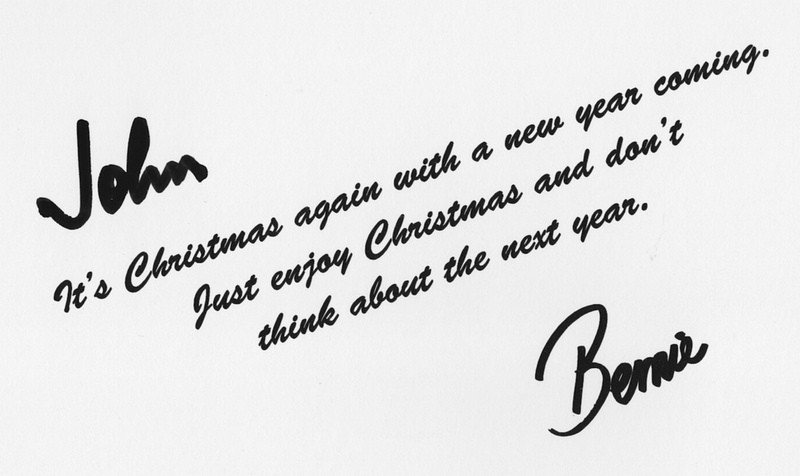 And, since 1986 I get a Xmas card every year too. It’s impossible not to notice how the organization of the paddock areas, officials’ suites and team hospitality areas has evolved after the past 30 years. From a ramshackle collection of facilities, motorhomes, tents and garages, the whole ‘back-end’ is extremely well laid-out, efficient and beautifully-presented. I asked Bernie what was the driving force, and he replied: “My problem is, I have a tidy mind." When I asked him about the evolution of the tight security levels for the credentials, I asked if that first experience in Adelaide was behind it. He said: “Absolutely, but that wasn’t the first time it had been tried. However, I have to say your Aussie crims are pretty sharp. The changes have been really necessary for security. 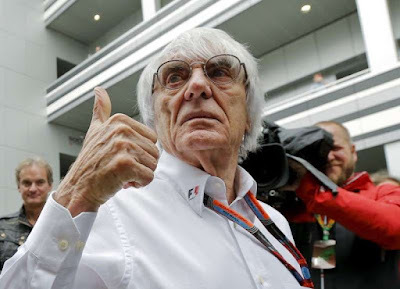 When I commented that critics say the whole atmosphere is too sterile, Bernie replied that that was how he liked it. Clean, well laid out and well organized. Most interesting for me is Bernie’s work ethic and his sense of organization, and I asked what was the greatest influence? Bernie told me it stemmed from his great, great grandfather. The Oxford dictionary describes a ‘peripatetic’ person as someone who travels widely, and works in different places for a short time. That sums up Bernie Ecclestone very accurately. He works incredible hours, especially as he turns 87 in October, and is constantly ‘on the go’. Bernie has his critics, and some of the things they complain about may be justified, but I am unabashedly a supporter. As I said, in my personal dealings he has been straightforward, gracious and easy to work with. Formula One will miss his strong, guiding hand, his insight, instincts and most importantly his resolve. His determination to get things done is what drives him. However, who knows? He has so much energy, he may yet surprise us all with some new ideas. It’s a pleasure to know him.